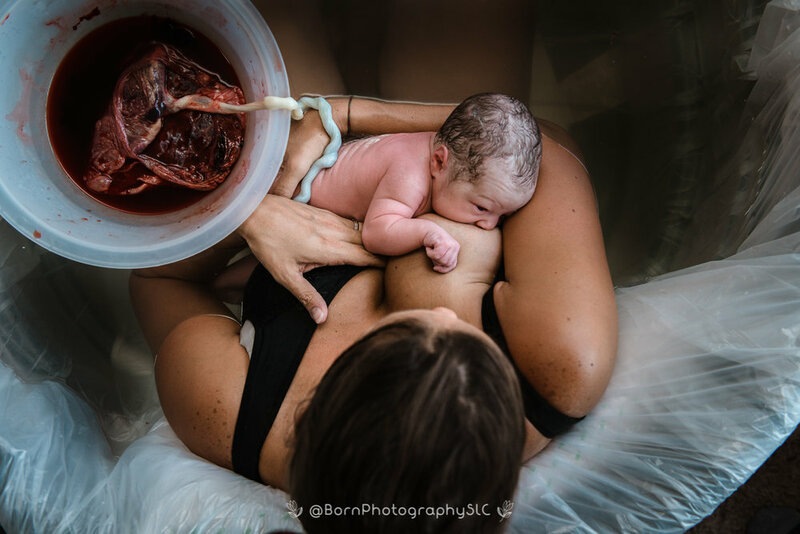 Holly and I first met when she reached out wanting to learn more about my birth story sessions. I was immediately fascinated by Holly. She’s a dedicated wife & mother of 5 who loves fitness and is creator of Maeband belly bands. 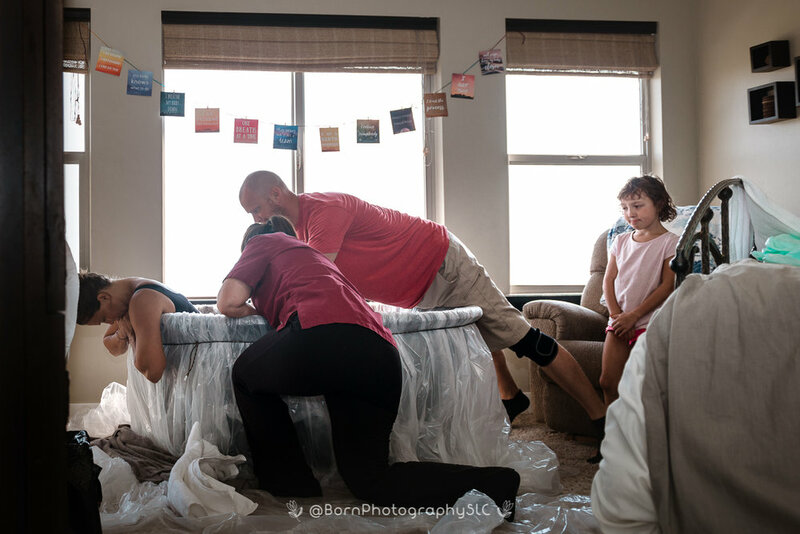 Holly’s plan was to give birth at home, ideally in the tub surrounded by her husband, mother, 4 children. I arrived shortly after Holly’s Midwife, Richelle Jolley. Holly was deep in active labor and walking around in between waves. At one point she even styled her youngest daughter’s hair in between waves. Always a Mama, even in the throes of active labor. 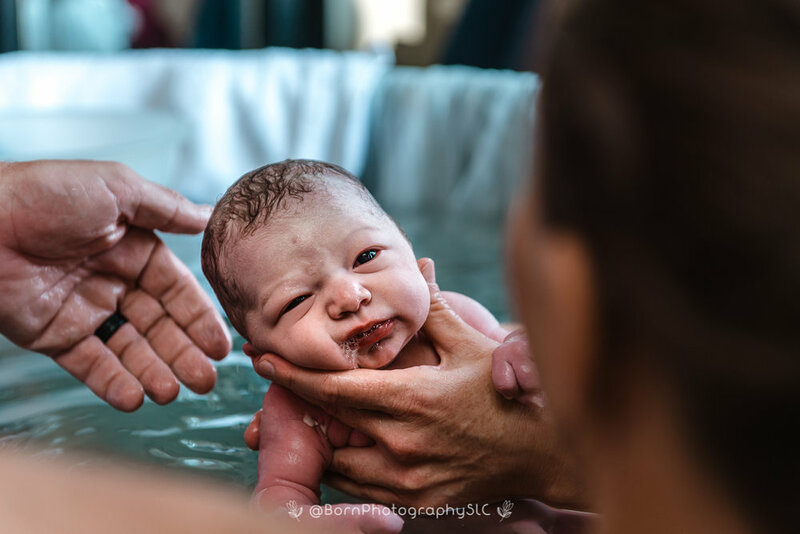 <3 Labor began to intensify and Holly decided it was time for the tub. Holly’s husband supported her with hip squeezes, knee presses & words of encouragement. Labor continued to progress. The urge to push became stronger and within minutes Mynia was born into the hands of her father. She took her first cry on Holly’s chest surrounded by her siblings & grandmother. 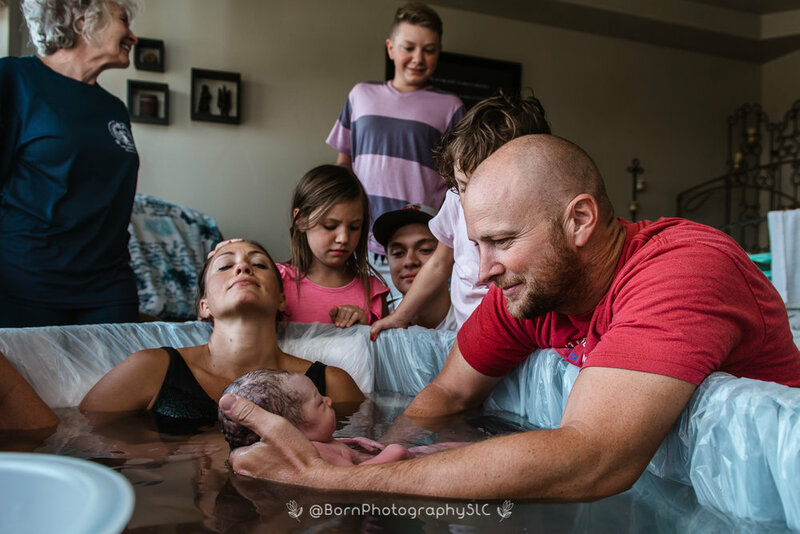 Birth Photography, Birth StoryLindsey Rivera August 8, 2018 Why birth photography?